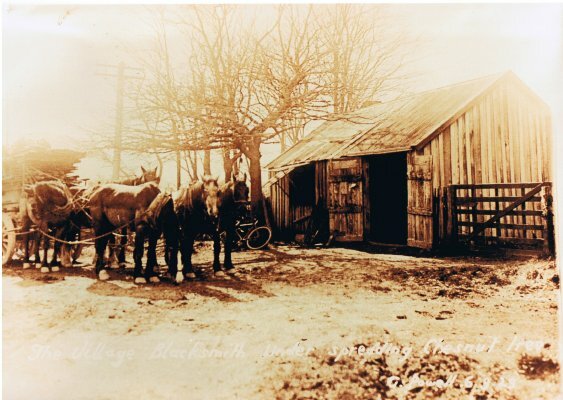 Description Sepia photograph titled, "The Village blacksmith under the spreading Chesnut(sic) tree 1926". The title along with the name G. Powell, 6929 is written in white ink on the bottom of the photograph. When using this image please quote "Image courtesy of Havelock Museum"